SAN FRANCISCO — In its ongoing quest to gather daily images of every location on Earth, Planet Labs plans to launch 250 satellites in 2016, far more than the company needs to serve its customers. That redundancy enabled Planet Labs to continue providing imagery to its customers in spite of losing 26 Flock 1d satellites in the October 2014 failure of the Orbital Sciences Antares rocket and eight Doves, also known as Flock 1f, in the June 2015 breakup of the SpaceX Falcon 9. 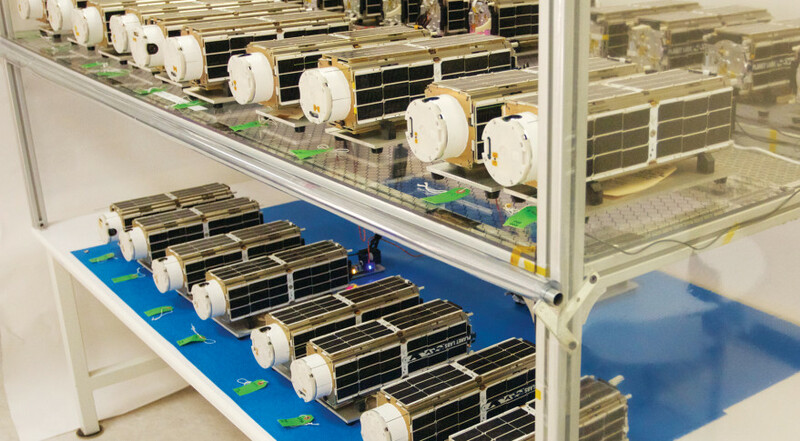 Planet Labs has launched 101 cubesats on nine launch vehicles since the company was established in 2010. Although Planet Labs has flown its spacecraft on many different rockets, Marshall is clearly frustrated by a lack of launch options, frequent flight delays and the cost of reaching orbit. Planet Labs experiences an average delay of about a year from the time a launch provider says its rocket will takeoff and the actual launch. “The launch industry is peculiarly unsatisfying to its customers,” Marshall said Nov. 10 at the NextSpace Investor Conference here. That type of innovation probably would come from companies with no plans to send astronauts or commercial spaceflight customers into orbit. “Most of these launch vehicles are associated with humans and for humans you want to make sure they’re safe,” Marshall said. “We don’t care about safety for our small satellites.